From covered wagons and ranchers in 1905, this old gold rush town now green rush town is about to get rich. Today, this small town on the edge of the Mojave Desert in Northern California is about to become a cannabis tourist destination. American Green bought Nipton for close to $5 million in cash. Nipton only has a population of six. The new owners’ have a vision of turning it into a cannabis friendly place. Somewhere people can visit a working cannabis farms and cannabis dispensaries. It will be somewhere people can stay the night and visit the local natural springs to rejuvenate. American Green is one of America’s largest cannabis companies and has bought the entire town of Nipton sitting on 120 acres. historically a rich gold rush town now green rush town, the legacy continues. Current owner, Roxanne Lang said the sale was still in escrow. She said her late husband, Gerald Freeman would find the intention of the buyer amusing. He had no problem with cannabis and believed in green power. Freeman established a solar farm that supplies most of the area’s electricity supply. The new owners plan to extend the farm. They also plan to bottle and sell water from the town’s pure water supply infused with cannabis. American Green also hope to attract other cannabis manufacturers to the area. With an old hotel, RV park and general store, the town’s main source of income currently comes from selling lottery tickets. People cross the state line from Nevada as they cannot buy them there. It was a gold rush that created this town and it’s a green rush that will breathe new life into the area. American Green has been around since 2009. American Green was one of the first publicly traded technology companies involved in medical cannabis. It introduced an automated, age-verifying cannabis dispensing machine. It also has a dispensary locator app and “seed-to-sale tracking solutions”. The company manufactures and sells hemp oil low in THC without the psychoactive properties of cannabis. They use hemp oil to make mints, capsules and balms to provide users with “long-lasting relief”. American Green intends to manufacture hemp water at Nipton. It will tap into the area’s aquifer and infusing the water with hemp oil. The benefits of medical cannabis are well-known throughout the world. Though scientific experts say the medical benefits of hemp oil are not proven. It is a hotly debated subject across many Western countries with many now legalising its use. Although it may be years before American Green can grow cannabis crops, work on the infrastructure will begin immediately. Nipton in not incorporated and has to be before its owners can apply for a grower’s licence. Nipton attracted the attention of the late Gerald Freeman when mining in part of the area in the 1950s. It is part of the Ivanpah Valley and is at the northeast entrance to the Mojave National Preserve. 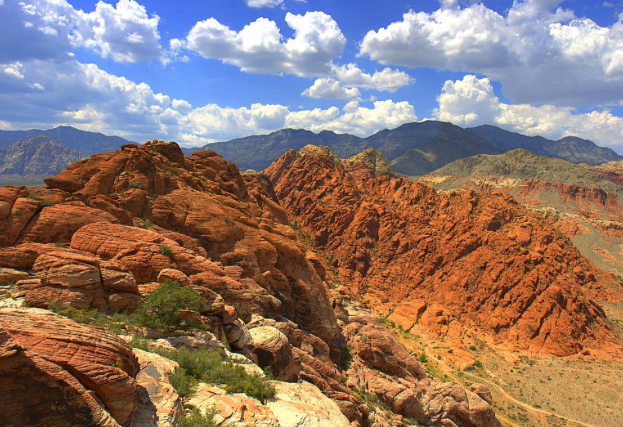 It is 60 miles south of Las Vegas and 10 miles off the major highway that connects to Los Angeles. When Freeman discovered Nipton, it was a ghost town. He bought it in 1985. He and his wife spent 30 years restoring the boutique hotel and general store keeping to the Old West theme. They built eco-cabins and invested a huge amount of money in a solar farm that provides 45 percent of the town’s power. The hotel is a popular destination for people who love the desert and the Old West. American Green secured the property after four months of negotiation and have to pay cash. It has bought the entire town of 120 acres, including all buildings and the solar farm. The company said it intends to keep the small businesses running. They currently bring in a profit of around $200,000 annually. This would likely be an opportunity for job growth for the area. Growing BC Seeds Big Bud could possibly help increase profits 10 times more per year. Making this old gold rush town now green rush town even more richer than ever before.